Athena grew up in Hantsport, N.S. and has loved animals for as long as she can remember and always dreamed of becoming a large animal veterinarian. She graduated from Horton High School and went on to complete two years of Biology at Acadia University. 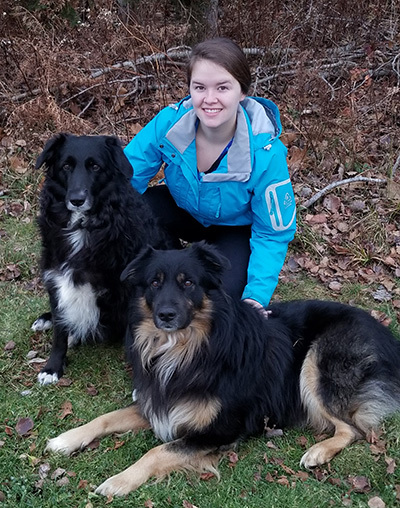 In 2018 she joined the team at Cornwallis Veterinarians Ltd in the role of Client Care Specialist. Athena currently resides in Wallbrook, NS with her significant other, Leo and their two dogs Trigger and Isis. In her spare time, Athena enjoys camping and walks in the woods with her dogs.